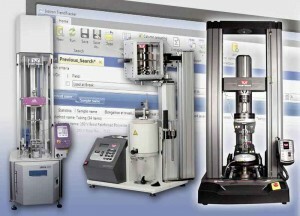 High Wycombe, July 2013 – At K 2013, Instron® will be showcasing, at its booth J18 in hall 10, highly sophisticated measuring and testing systems for efficient and precise determination of the rheological properties of plastics and evaluation of the behavior of materials and components under static and dynamic loads. Amongst the exhibits will be the melt flow testers CEAST MF50 and the new CEAST MF30 with manual mass selector, a CEAST 9050 pendulum impact tester, and a CEAST 9350 drop weight tester. Instron will also be presenting automated testing systems, accessories, and software that will help the plastics industry improve the efficiency, repeatability, and accuracy of measurements both in the laboratory and on the shop floor. 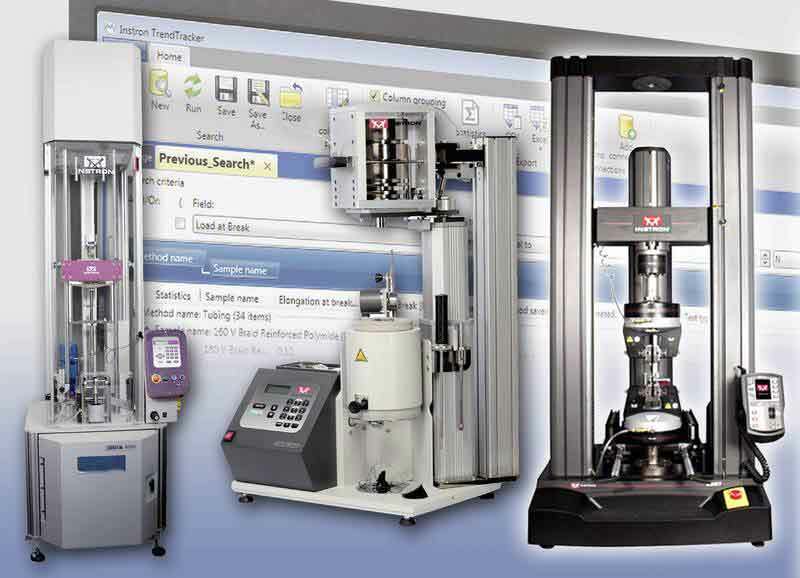 This includes the new AutoX750 Automatic Contacting Extensometer, the TrendTracker™ software package, and an automated carousel system for tensile testing that features a high-precision measuring system for determining specimen thickness. The CEAST MF30 and MF50 are part of Instron’s new Melt Flow Tester Series. The CEAST MF30 is a single-weight system, designed to determine melt mass-flow rate (MFR) and melt volume rate (MVR) in accordance with ISO 1133-1 and -2 Procedures A, B, C, and ASTM D1238. Its unique and versatile features include a high-resolution digital encoder and an N/C-controlled weight lifter. The lifter is equipped with an integrated load cell for controlled compacting and purging operations, a significant improvement for repeatability and time savings. The Manual Mass Selector – a new integrated option – simplifies configuration and testing, and ensures outstanding operator safety. With minimal physical effort, there is no heavy mass handling required and the configuration of the machine always remains the same. The CEAST MF50 is the premiere Melt Flow Tester for single-weight and multi-weight tests. With outstanding technical features and a higher level of automation, safety, and user-friendliness, it is compliant with the latest international standard requirements for temperature accuracy and stability. During multi-weight tests, the system automatically applies up to five of the eight pre-installed test masses, ranging from 0.325 – 21.6 kg, in any desired sequence. During the measurement, the temperature profile in the barrel is extremely stable and accurate according to ISO 1133-2. The CEAST VisualMELT Software controls all functions of the tester both during single-weight and multi-weight tests. TrendTracker™, a new software package for Bluehill Software, accelerates the data analysis workflow of a lab by allowing the user to rapidly search and analyze test results across multiple samples tested over time and on various test frames. The results are automatically exported to a robust and scalable database. Instron’s automatic carousel feeding system may significantly reduce the time and effort required for performing standardized tests on tabletop tensile testers from the Instron 5960 Series. An optional digital measuring system is now available to capture the thickness of all specimens at several points over the length of the specimen with an accuracy of 1 µm. It then transmits the values through an RS 232 interface to the Bluehill 3 Materials Testing Software. Instron (www.instron.com) is a globally leading manufacturer of test equipment for the material and structural testing markets. A global company providing single-source convenience, Instron manufactures and services products used to test the mechanical properties and performance of various materials, components and structures in a wide array of environments. Instron systems evaluate materials ranging from the most fragile filament to advanced high-strength alloys. With the combined experience of CEAST in designing plastic testing systems, Instron enhances materials testing offerings, providing customers with comprehensive solutions for all their research, quality and service-life testing requirements. Additionally, Instron offers a broad range of service capabilities, including assistance with laboratory management, calibration expertise and customer training. Instron is part of the Test and Measurement division of the US based Illinois Tool Works (ITW) group of companies with more than 850 distributed business units in 52 countries worldwide and a staff of approx. 60,000.